The U.S. Forest Service has backed off a proposal to ban fracking in the George Washington National Forest, which comprises 1.1 million acres in Virginia and West Virginia. Under a final plan, the Forest Service will allow drilling on some land. That’s an about-face from a preliminary proposal released three years ago that would have prohibited fracking, or hydraulic fracturing, for oil and natural gas inside G.W. National Forest. The new policy, which is expected to take effect early next year, caps the amount of land available for drilling at about 16 percent of the forest. Instead of taking a stance on fracking, the Forest Service has decided to stop leasing additional land for energy extraction. Oil and natural gas companies already lease about 10,000 acres within the forest and own the underground mineral rights for an additional 167,000 acres, according to the Forest Service. That land will remain open for extraction. Conservationists say the drilling method could contaminate water at its source. The process involves drilling a deep vertical well that is then drilled horizontally so millions of gallons of water and toxic chemicals can be blasted into the earth, fracturing shale and releasing the gas trapped within it. Officials say the new plan represents an attempt to satisfy both sides. 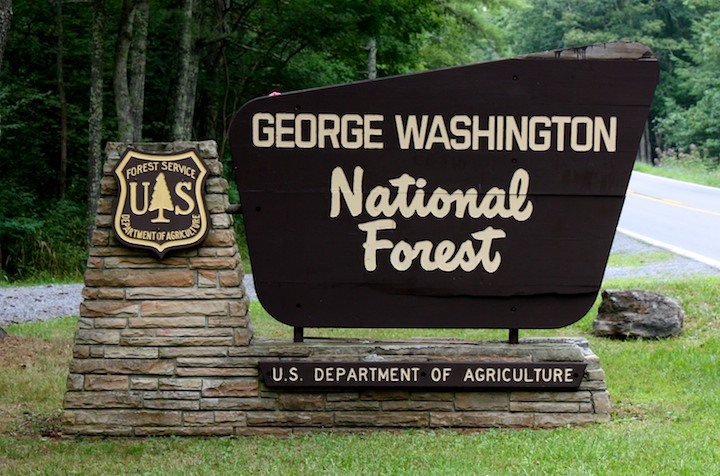 The Forest Service believes the new plan for the George Washington National Forest is not a departure from policy elsewhere. It does not take a stance on horizontal fracturing or fracking. It updates a plan adopted in 1993 that made almost all of the forest available for leasing and offered no restrictions on what methods could be used. None of the existing leases or privately owned mineral rights are actively being worked, a circumstance that Bonnie said speaks to the quality of the energy deposits. These are not economic reserves right now,” Bonnie said. The new policy does not guarantee the right to drill, even on land where leases are in place. If a company wants to drill on land it already leases, it must first obtain a federal permit from the Bureau of Land Management, which works with the Forest Service to determine whether to grant or deny permission. Then the company must get approval from the state.